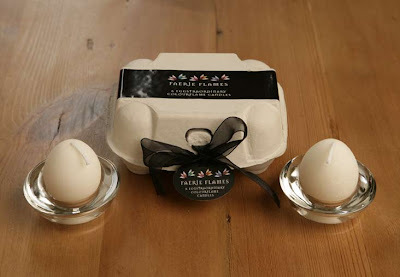 X09 457 (7608) Each Faerie Egg Box contains six egg candles - three with a red flame and three with a green flame. Each candle burns for up to 3 hours. 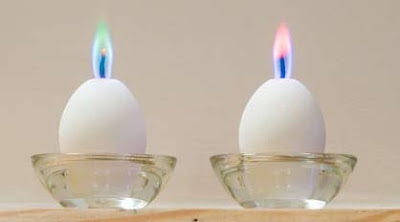 The egg must be placed in a glass saucer (not provided) to catch drips. Inner: 6 boxes. Carton: 36 boxes.